This week Future of London launched its new Council-Led Housing Forum, a three-year programme of events to support boroughs building their own homes. The timing is perfect – two weeks after the prime minister proposed abolishment of the borrowing cap; shortly before the Greater London Authority (GLA) announces the recipients of the mayor’s Building Council Homes for Londoners grants; and, as James Murray, London’s deputy mayor for housing and residential development sneak-previewed at the launch, a few days ahead of the announcement of a new GLA fund specifically designed to bolster local authority teams. Future of London’s remit is to support housing, planning, regeneration and infrastructure practitioners across the public, private and, increasingly, third sector in the capital. Against a backdrop of growing housing targets, tightening budgets and the desire to retain assets for long-term revenue, we see more and more local authorities shaping new approaches to housing delivery. In our publication Making Housing Delivery Models Work for London we assessed the capacity of these models across London. One of the barriers raised time and time again was the lack of skills and experience in local authorities. This hit home for me at one of our regular housing seminars. A local authority officer quietly told me they had been tasked with setting up a housing company, something they had no experience in. When they had asked why a housing company, the reply was: “Because they have one next door”. Most boroughs haven’t built homes for decades and development expertise has been lost. However, there are some leading lights in London. 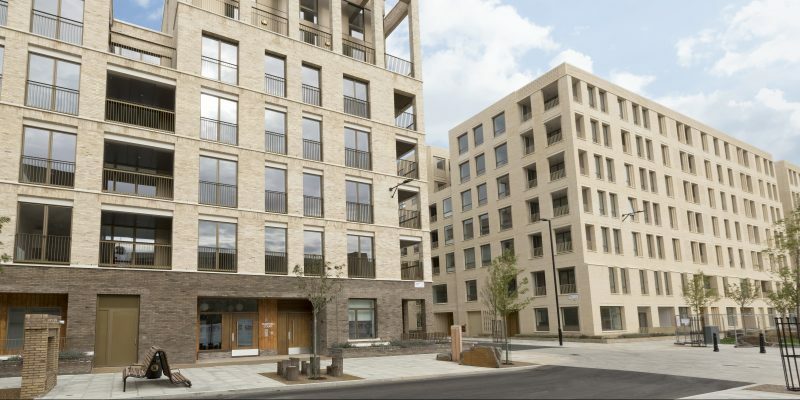 Hackney Council has built a team the size of a housing association with the potential to build 2,500 homes over the next five years. Barking and Dagenham set up and transferred the council’s planning and regeneration functions to Be First, a wholly owned company with a target of building 50,000 new homes and creating 20,000 new jobs over the next 20 years. Croydon’s Brick by Brick housing company, set up in 2016, has put 30 schemes through planning to date. Each borough is rightly taking its own approach – but there are no formal mechanisms to share what’s working, lessons learned and what can help speed up delivery. Our new Council-Led Housing Forum, supported by the GLA, Potter Raper Partnership and Red Loft, will provide free technical advice to practitioners involved in the council-led delivery of homes. This includes direct delivery through housing revenue accounts, wholly owned companies and delivery partnerships/special purpose vehicles. Pioneering boroughs, housing associations and independent experts will share skills, experience and lessons learned. Talking to councils and their advisors when building the programme drew out some consistent themes. Councils need to be clear what their ultimate objective is: building affordable homes, generating income for frontline services, or both. The goal determines the approach, and in some cases the approach has become unstuck when expectations can’t be met. The first session will bring directors and heads of service together to share the pros and cons of different mechanisms, how pitfalls can be avoided and what the pioneers have learned that can be shared with others. Given the migration of development expertise to housing associations and the private sector, we will look at how to build the right team and offer sessions on development management from initial analysis and feasibility to handover and aftercare. Specific topics such as achieving design quality, resident engagement and infill development will be given their own sessions, and site visits will be offered to showcase successful schemes on the ground. Winning the support of other departments within the authority is essential for a smoother journey. Colleagues in planning, finance, legal, and asset and property services all have a critical role to play – and yet are not always bought in at the right time and can be resistant to this new entrepreneurial approach. Sessions will be run for these specific professions to draw out when and how to best engage them in the process. Ultimately, I hope the forum will save time by sharing lessons learned and building an effective, capable local authority network across the capital. If the feedback received at the launch is anything to go by, there is a real appetite from the boroughs and housing associations to share and learn from one another. Find out more about the Council-led Housing Forum and upcoming events or get in touch with suggested content, speakers or site visits (nicola@futureoflondon.org.uk).